If you’re looking for an online seminary degree, you have a lot of options. There are dozens of seminary degrees at the masters level alone, all with their own set of particularities that prepare you to enter ministry in the way you feel most called. 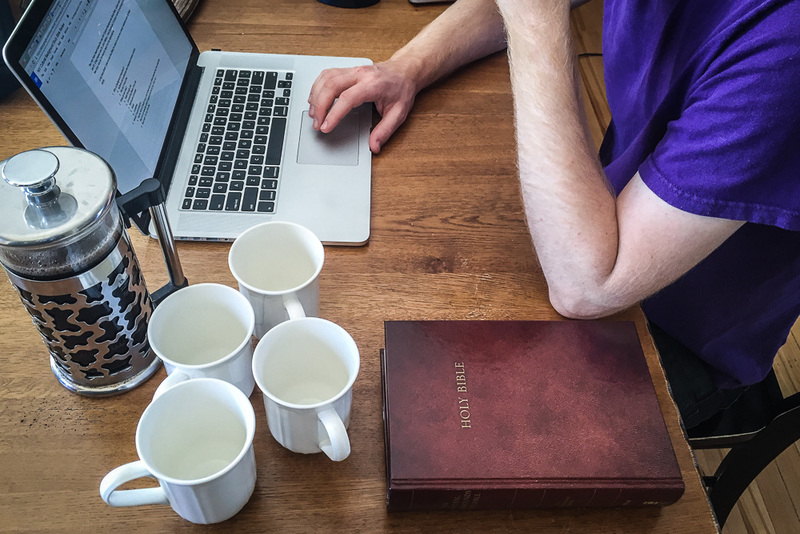 Online seminary degrees allow you to study from home, without having to move or quit your job. This can be particularly useful if you’re preparing for leadership in a particular church you’re already committed to, and it can especially help if you have a family to care for. Most online seminary degree programs also allow students to work at their own pace depending on their work and family situation. Some of these online seminary degree programs require a certain number of on-campus credits or a few intensive visits. However, many of them are set up to allow students to complete them from start to finish without ever needing to travel. Here’s where you can find a list of all these online seminary degrees. If you know of one we missed, please let us know in the comments! Here you can find a directory of all the online masters seminary degrees. There’s a huge variety, and we’re still adding to the list as new programs emerge and schools begin to offer online programs that they previously only offered on campus. Scroll through to get a quick view of what the purpose of the degree is, and which schools offer it. The online masters seminary degrees are listed alphabetically with one exception: you’ll find the MDiv right up at the top. We’ve written a much more in-depth article on the best online MDiv programs, where you can more about schools that offer online MDiv degrees and what sets the programs apart from one another. There are a wide variety of master of arts degrees offered online. Here are some of the programs to be aware of, along with schools that offer them. The MAABS is a degree is designed to enhance students’ ability to interpret both the Old and New Testaments. We’ve only identified one seminary offering this degree online. The MABS, or Master of Arts in Biblical Studies, is a degree designed to prepare students for doctoral work in biblical studies. It helps students specialize in Bible, biblical interpretation, and theology. This degree involves original language study and theological research. Here are the seminaries that offer an online version of the MABS. MABTS is a two-year degree that provides core biblical studies, theology, and spiritual formation for ministry leaders. These are the seminaries that offer a Master of Arts in Biblical Theology Studies online. The Master of Arts in Christian Leadership helps students prepare to become leaders in ministry settings. These settings range from non-profits to the local church to parachurch organizations, missions, and more. The MACM trains students with biblical training and ministry experience for serving both inside and outside the church. Four seminaries offer the Master of Arts in Christian Ministry online. The MACMHC program equips students to practice as professional counselors by providing academic and experiential background from a Christian perspective. One online program for the Master of Arts in Clinical Mental Health Counseling is available. The MACP equips students to plant churches by giving them relevant theological and practical training. This degree can prepare them to plant churches in a variety of different cultures. We have found two schools offering the Master of Arts in Church Planting seminary degree completely online. The MACS degree enables students for Christian service by providing them with theological study and reflection. This degree does not prepare students for ordained ministry or doctoral study. We’ve located two seminaries providing the Master of Arts in Christian Studies online. The MADCF degree prepares future church leaders to serve the church by making disciples. It is suitable for students pursuing a variety of ministry roles. Our research has only revealed one seminary to be offering the Master of Arts in Discipleship and Christian Formation online. The MAGS program was created to prepare students to serve and evangelize in mission fields—both local and international. One school, to our knowledge, offers the Master of Arts in Global Studies degree completely online. The MAICS provides students with the theological and sociological training they need to serve in cross-cultural or multicultural contexts. We have identified three seminaries with a fully online version of the Master of Arts in Intercultural Studies program. This MAPC degree program prepares students to become pastoral clinicians: people who can give counseling and therapy in faith-based contexts. The program combines studies from psychological theory and theology. Two seminaries offer the Master of Arts in Pastoral Counseling entirely online. The MAR degree program prepares students for many forms of lay ministry or service by providing them with systematic theology studies, biblical studies, and Christian history studies. Two seminaries provide this degree program 100% online. The MARS degree focuses on the academic study of religion in a concentrated period of time. It is designed for those in non-ministry professions. We’ve found one seminary offering this degree entirely online. The MA(th) program is geared towards individuals students who want to develop skills and knowledge in the study and interpretation of Scripture. One school provides this seminary degree entirely online. Four seminaries offer a Master of Arts in Theological Studies 100% online. There are a variety of more unique MA programs at various seminaries offered online. Here they are in alphabetical order. While there are a huge variety of master of arts degrees offered online at seminaries, that doesn’t cover all the different specialty masters degrees available. Here are even more. The MET degree is an MTS degree (Master of Theological Studies), but entirely in Spanish. One seminary offers the MET degree 100% online. The Master of Ministry Leadership degree is designed for those who already have a bachelors and are serving in a ministry role (whether in church, or elsewhere). The degree focuses on developing a person’s skills in leadership and service, specifically toward the end of local church ministry. It can be completed in two years. The MRE is a program designed to prepare individuals for teaching, and to enable students to fill positions requiring familiarity with church education. We’ve identified one seminary offering this degree entirely online. The MTS, a flexible degree that allows for many electives, prepares students for doctoral studies in theology. This degree provides students with theological knowledge for teaching, administration, or further study. Get more information about these programs in our complete list of online MTS degrees, including program descriptions, ATS accreditation status, and links to the programs. The MTS + M combines the theological training of the MTS with additional practical missions training. Only one seminary offers the MTS + M completely online. Learn more about online ThM degrees. The DMin is designed for people already in ministry. The degree equips pastors and ministry leaders with increased leadership skill, theological discernment, and ability to minister. Do you know of any completely-online seminary degree programs I missed? Please let us know in the comments! I have had several people speak of the excellent simplicity of the program from Agape Seminary. See AgapeSeminaryVirginiaCampus.com.